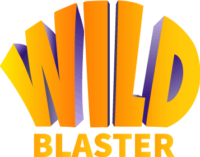 Wildblaster is a reputable online gambling casino established in 2018 and owned by Direx N.V, a company incorporated and licensed under the e-gaming legislation of Curacao. Direx is a major virtual casino developer which operates multiple online gambling sites worldwide. Incredible speed is what makes the Wildblaster Casino stand out, the KYC confirmation is completed within only one hour’s time. Payments also go through at lightning speed and players have various safe transfer methods they can choose from. New customers can create their account very easily. All you need to do is click the Sign-Up button found on all the pages of Wildblaster website and fill in the required details. You’ll immediately receive an email in your inbox where you’ll be asked to confirm your registration and verify the address. By clicking the Verify Account button you will be redirected to Wildblaster casino’s home page which will confirm that your account has been validated. By clicking on the image next to your email address (which is your username) a dropdown list with your account details will appear. All new players are granted Amber status. The drop-down menu will show the next Amethyst level and the progress you make towards reaching the next level. The range of VIP statuses also includes Saphire, Ruby, and Emerald. The ultimate VIP status is Diamond which you reach when you achieve a minimum of 48,000 points by wagering real funds but without including bonuses. You can move on to filling in your account details with relevant information such as your full name, address, country of residence, date of birth, gender, and telephone number. You can track the history of the wagers you make and any withdrawals in the dedicated History and Balance sections. To make sure you’re gambling is under control and you don’t risk high losses, you can set different restrictions in the Gambling Limits section. Wildblaster allows you to manage the time of each wagering session, set a cooling off duration and establish deposit and loss limits as well as betting restrictions. Responsible gambling is at the heart of Wildblaster and they take care of their customers. Is There A Welcome Bonus and What Are the Conditions for This Bonus? Wildblaster Casino offers new players a welcome bonus which appears after you register for a new account. You can redeem the welcome bonus by making the first deposit. The 100% up to EUR 150 and 100 Free Spins Bonus will be available to you once you’ve topped up your account. The first 20 spins are available after 24 hours from the time of your deposit and the balance of the bonus can be used every day for the next 5 days in Netent Slot (Aloha Cluster Pays) & Bestsoft Gaming games. Each game has separate wagering terms for the bonus. Table games, excluding live dealer options, as well Videopoker have a 5% wagering requirement. Slots, except for the list presented in the T & Cs of Wilblaster, require 100% wagering of the bonus. Once the bonus expires both the winnings and bonus are removed. Players can modify the currency of the bonus only after completing the first stage of wagering. Deposits can be withdrawn before betting requirements are fulfilled but the bonus and any winnings will be lost. Is There A No Deposit Bonus Available as Well as Free Spins, And If So, What Are the Conditions? No-deposit bonuses such as Free Spins are offered to players but there are a few geographical restrictions. Wildblaster lists the countries in which players will not be able to use no-deposit bonuses and mentions the timeframe during which these bonuses should be wagered. Withdrawals from Free-Spin bonuses are limited to EUR 20 or the equivalent in your selected currency if you haven’t made a deposit before receiving the Bonus. Does the Casino Have A License and Where Is the Casino Established? Wildblaster Casino is licensed under the e-gaming legislation of Curacao. The online casino is owned and operates under Direx N.V and its subsidiary Direx Limited. Direx Limited, which is a company registered in Stasinou 1, MITSI Building 1, 1st floor, Flat/ Office 4, Plateia Eleftherias, Nicosia, Cyprus, owns Wildblaster Casino’s website. 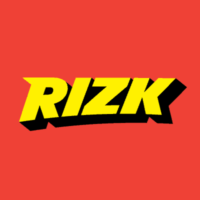 However, the casino’s online gaming content is owned and operates under the license of Direx N.V which is registered under 131879 and headquartered in Curacao. The gaming license of Direx N.V is authorized by Antillephone N.V., an e-gaming licensing and supervision body. Information about the incorporation details and registration number of Direx N.V and Direx Limited is presented on each page of the Wildblaster Casino website at the bottom of the screen. Details regarding restrictions in certain jurisdictions are set out in the Terms and Conditions which can be accessed by any visitor of the website. There is no app available for Wildblaster Casino. Does This Online Casino Also Have A Mobile Version? Like the majority of Direx N.V online casinos, Wildblaster online gambling site can be run on all mobile devices powered by IoS, Android or WinPhone. The top quality of the graphics and streamlined experience offered by the mobile version of the online gambling site are guaranteed by the top tier interface and gaming software used by Direx N.V. In Which Languages Is the Website Available? Wildblaster’s website is available in English, Finnish, German, Norwegian, Polish, Portuguese, Spanish, Swedish, French and Russian. However, the bonus terms and conditions are published only in English and it’s the official language for all other provisions presented on the site. Translations into other languages may occur as a sign of good faith, however, the English version prevails in case of differences. Which Currencies Are Available for This Casino? When you create a new account, you can choose the currency you wish to use for wagering. However, in case you change your mind, you can modify the currency in your account details, in the Balance section. You can choose from a wide range of FIAT currencies including EUR, SEK, NOK, AUD, CAD, RUB, and PLN. Wildblaster also offers the possibility to wager using Bitcoin cryptocurrency. Which Players from What Countries Are Not Allowed to Use This Online Casino? Wildblaster online casino cannot be enjoyed by players from the USA and its territories, the UK, Spain, France, and the Netherlands. If players from these countries breach these restrictions and still play on the online casino, Wildblaster cannot guarantee that they’ll be able to successfully withdraw any winnings or have refunds made. How Can I Contact the Casino and How Can I Reach Customer Services? Players can contact the casino staff through the contact form which can be accessed by clicking the Support button on the top menu of the website and by Live Chat using the chatbox which appears at the bottom of the screen. If you’re using the contact form, you’ll have to fill in your email address and enter your inquiry. Click Send to confirm the message gets through to the casino’s support staff. If you choose Live Chat you must click the Live Chat icon at the bottom of the screen which greets you with a welcoming message. You should fill in your name and email address, then click Start The Chat. You can also use the social media buttons for Facebook and Twitter to communicate with Wildblaster’s team. For standard questions related to the opening of a new account or details about payment options, you can check the FAQ section on the website. Wildblaster uses the latest technology for their graphics and gaming. Like other gaming platforms operated by Direx N.V, Wildblaster integrates top quality software for the thousands of games available on the site. Wildblaster uses Netent, Yggdrasil, Microgaming, and Evolution Gaming among other major players in the gaming software development industry. Live casino action is guaranteed by and runs on Evolution Gaming software. Which Various Slot Machines and Video Slots Can Be Played At This Casino? Slots make up a large part of Wildblaster’s online games. Providers such as Amatic, Booming Games, Betsoft Gaming, Endorphina, GameArt, Habanero, MrSlotty, Microgamming offer a large number of exciting slot games which can be enjoyed by players at any time. Book Of Pyramids, offered by BGamming solutions, is a 5-reel non-progressive 9 payline slot game dedicated to Ancient Egypt. You’ll enter a world of the ancient Egyptian Gods and Pharaohs alongside characters such as Tutankhamen and the Eye of Ra. A magical place is waiting for you and bonuses are all around as Scarab symbols. You win this game by spinning the wheel so that the symbols which appear form a winning combination. If you reach such a combination the pay line becomes animated and your winnings are displayed in the Win section. Rise of Olympus is another fascinating game which takes players into the world of the Greek Ancient Gods. Characters of the ancient mythology are the heroes of this game which has 25 symbols on the screen. The main characters of this game are Poseidon, Hades and Olympus and their symbols are a harp, helmet, and trident. Hades can turn icons into different identical symbols, Poseidon can attract wilds and Zeus destroys identical symbols. The lineup is 5×5. The slot machine has standard and special symbols, free spins, re-spins, and various other bonuses. To win, players must line up at least 3 identical symbols positioned right next to each other vertically or horizontally. One round can result in multiple winnings and payoffs range from x0.10 up to x50 of the initial bet. The resulted winnings are transferred directly into the player’s account. Other exciting slot games include The Big Bad Wolf, Fruits & Jokers, Wild Respin 7, Football Star, Immortal Romance, and Avalon II. Is It Possible to Play Roulette, And If So, Which Types of Roulette? Players can enjoy a wide variety of Roulette provided by Wilblaster Casino. Offering American Roulette and live dealer games in private rooms, Wildblaster makes you feel as if you’re in a real casino when you’re placing your bets. A special VIP dedicated Roulette version is available under LIVE VIP Roulette. Is It Possible to Play Black Jack, And If So, Which Types of Black Jack? If you’re a cards fan, you’ll have a great time playing Blackjack. It’s offered in both standard as well as Live variants. Blackjack VIP, Diamond VIP, and Fortune VIP rooms are dedicated to the high-rollers. You can also enter a Blackjack Party or join Platinum salons for a luxurious experience. Is It Possible to Play Poker, And If So, Which Types of Poker? Poker games come in a wide variety on Wildblaster’s online casino. Players can enjoy the standard form of poker like Caribbean Poker, Oasis, Trey poker or All Aces Poker, video poker as well as choose to enter different tournaments. Is It Possible to Play Baccarat, And If So, Which Types of Baccarat? Wildblaster Casino offers various Baccarat games in standard and live versions so that players can enjoy a wonderful gambling session. Is It Possible to Play Bingo, And If So, Which Types of Bingo? Bingo enthusiasts can enjoy a large selection of Bingo games on Wildblaster casino including Bingo Bonanza, Electro Bingo, Mayan Bingo, Pharaoh Bingo, Rio Bingo, Samba Bingo, Sassy Bingo, and Super Bonus Bingo. Is It Possible to Do Sports Betting, And If So, Which Types of Sports Betting Are Available? Sports Betting is not currently possible on Wildblaster Casino. Is it possible to purchase online scratch cards, and if so, which types of scratch cards are available? Wildblaster Casino doesn’t offer scratch cards on the website. What Jackpots Are There and How Can You Win Them? The online casino offers 8 games with high jackpots. Starting from around EUR 700,000 which you can win by playing The Glam Life game to an amazing EUR 23 mil which you can redeem by winning Greedy Goblins, Wildblaster Casino offers players the chance to become rich in no time. 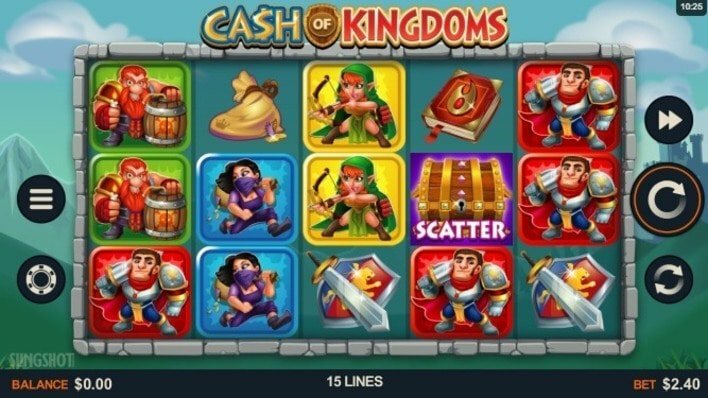 Other games with high Jackpots include Mega Moolan, Major Vikings, Fruit Fiesta, Ozwin’s Jackpots and Holmes and the Stolen Stones. Is There Also A Live Casino with A Live Dealer Present? Wildblaster Casino offers live casino experiences with card games such as Poker, Blackjack, Baccarat as well as in the Roulette section. Standard and VIP versions can be accessed in live private rooms. In What Way Can I Transfer Money to This Casino? Wildblaster online casino accepts payments by wire transfer, credit and debit cards or e-wallets. You can make deposits with Visa, Mastercard or Maestro. However, you cannot withdraw to your Maestro card. E-Wallets such as Sofort, Neteller and Skrill are a great way to transfer funds to and from your account. All payments are free from additional fees, they’re made instantly, and, depending on the type of payment method you use, there are minimum and maximum limits set on deposits and withdrawals. Users will find a complete list of details regarding the limits for each payment type in the Payments section on the top menu of the website. How Do I Withdraw Money, And How Long Does This Take? 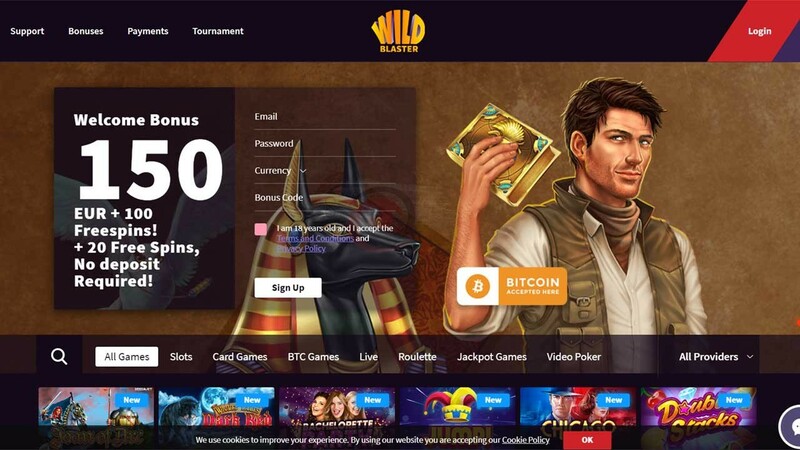 If you want to cash out your winnings from Wildblaster Casino you can choose between bank wire transfer, MasterCard, Neteller, Visa, Qiwi, Bitcoin, Trustly, Yandex Money and other E-wallets. Withdrawals made through e-wallets take up to 12 hours to process. Credit/ debit card withdrawals have a 24 hours processing period and bank transfers can take up to 5 days to complete. Does This Casino Also Have an Affiliate Program? Wildblaster has an active and exciting affiliate program which can be accessed by clicking the Affiliate button on the bottom menu of the website. Users are redirected to the wildblasteraffiliates.com website where complete information is provided relating to the affiliate program. Users who decide to sign up to the affiliate program will benefit from the help and support of Wildblaster’s experienced team of professionals and experts. To sign-up for the affiliate program, users must accept the terms and conditions provided by Wildblaster Casino and submit the required documentation. Wildblaster may request documents such as bank statements, individual or corporate identification documents and proof of residency or headquarters. Wildblaster will provide the necessary affiliate links which should be installed on the websites of the affiliated users. The breach of any terms will lead to the cancelation of all commissions. Email and SMS marketing campaigns which include any property owned by Wildblaster Casino can only be carried out by affiliate parties upon the consent from Wildblaster. Commissions are earned by affiliate parties if they abide by the terms and conditions of using the intellectual property of Wildblaster. The commission percentage, as well as its calculation method, may be changed by Wildblaster Casino. At the end of each month, the commission is calculated and paid out to the affiliated party by the 10th day of the next month. Payments are made into the Affiliate wallet and withdrawals can be made after KYC checks are confirmed. A minimum limit of EUR 100 is applied to withdrawals from the Affiliate wallet. The affiliate’s commission begins from a standard level of 30% of NGR paid out monthly. I Would Like to Close/Terminate My Account, How Can I Do That? The Self-Exclusion option available in the user’s account gives players the possibility to set a period during which they won’t be able to wager or play any of the games on the website. In the Gambling Limits section under Set Self-Exclusion Period you can choose a period of between 6, 9 or 12 months for the temporary closing of the account. During the Self-Exclusion period players cannot access their account to make any edits or withdrawals. You should clear your balance before setting a self-exclusion timeframe. To unlock the account, users should contact customer support after the expiration date of the exclusion period. You can choose to completely terminate the account by selecting the Forever option in the drop-down menu next to the Period title. The advantages of Wildblaster casino include the instant processing of deposits, no fees on transactions, a large variety of payment options available and high withdrawal limits. Players benefit from a live customer support service which is open 24/7 and a website offered in various languages. The highly responsive design of the online casino makes it easy for users to access the online casino from any mobile device. Wildblaster uses the latest security software to ensure the safety of payments made on its platform. All data is encrypted and maintained in safe codnitions before its transmitted to and from servers. The main disadvantage of the casino is the limited range of table games. However, in the future, Wildblaster may expand its selection of table games to attract more customers. Another downside to Wildblaster casino is its restriction for players from regions such as the USA and UK. Wildblaster Casino proves to be a highly reliable gambling platform. Direx N.V.’s collaboration with top players in the gaming software development industry guarantees great graphics and flawless gaming. The safety of payments made to and from users accounts is guaranteed by highly encrypted software. The online gambling site uses various secure firewalls to protect sensitive data on the casino’s side as well as CSL encryption technology to optimize the privacy and financial security levels of Wildblaster’s customers. Like all casinos operated by Direx NV, Wildblaster offers a wide range of top quality games which can be enjoyed by both beginners as well as professional gamblers. A large diversity of promotions starting with the welcoming bonus of 100% up to EUR 150 and Free Spins as well as other bonuses for 2nd and 3rd deposits make this only casino highly competitive in the world of online gambling. All payments are made at optimized speeds due to top quality software and security systems and all players benefit from continuous professional support provided by Wildblaster’s experts. Different VIP statuses can be reached by earning point depending on wagering levels and can result in various cash back rewards granted to players.